I’m so excited to be able to share our first Reader Project Feature, here on my new site! 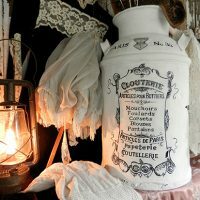 I’ve been receiving lots of gorgeous projects via the new Submission Page on my blog! Today’s feature is by Sonya Parker. 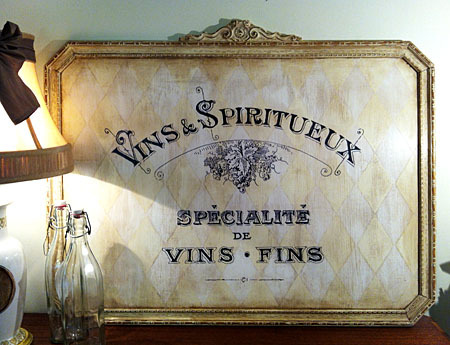 Sonya created this stunning French Wine Sign using Annie Sloan Chalk Paint in Pure White and Old White. She also applied Annie Sloan Wax in both Clear and Dark. In order to create the background pattern, she used a Harlequin Stencil that she purchased from Hobby Lobby. 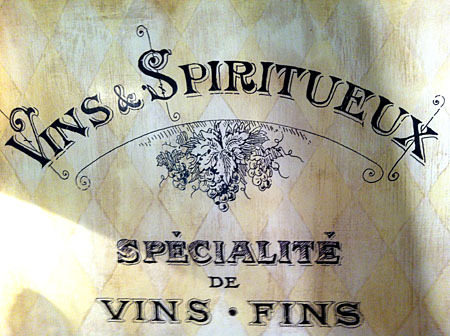 And the French Transfer image that she added is the French Wine Printable. All of this was done on an old picture frame that she found. So gorgeous, don’t you agree?!! 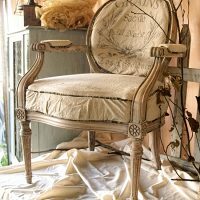 Be sure and visit Sonya over on her Facebook page, Casa Blanca at Golden Antiques and Treasures, to see more of her beautiful work. Also, if you live in North Carolina, you might even be able to purchase this in her shop! Need help with Transfer Techniques? Check out my Transfer Post Here. It’s been so fun seeing the fabulous things that you guys have been creating and submitting. I’ll be sharing more projects soon! That is one impressive sign. What an inspiration. Thanks for all you do Karen. I have so much fun on your website. 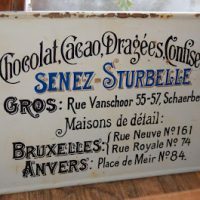 This sign is gorgeous! Way to go Sonia!! I could see a companion tray, as well. Thank you, Karen, for sharing this lovely piece. Karen, thank you so much for featuring the sign I made using your gorgeous graphic! I have been following you for over a year now, and I have used so many of your tutorials and graphics that I feel like we are old friends. This sign went into my booth one day, and out the very next! Since you have helped me so much, I wanted to share a tip that really helped me speed up the transfer process. I use a really thin transfer paper that comes on a roll and is available in the art department of Hobby Lobby. It really doesn’t seem to smear at all. I just enlarge my design, tape it and trace it with medium pressure. I haven’t had any luck getting this paper to transfer to latex paint, but it works absolutely perfectly with chalk paint. Thanks so much for the tips, I will for sure look for that the next time I take a trip out to Hobby Lobby! You are so welcome for the feature, your sign is fabulous! I’m so glad you’re getting new Facebook followers from it! I hope you’ll submit more projects in the future! What incredible talent she has, that sign is absolutely exquisite, I can only admire it and be happy for her to have such talent. There isn’t anything about that art I don’t love and admire. Wonderful work.